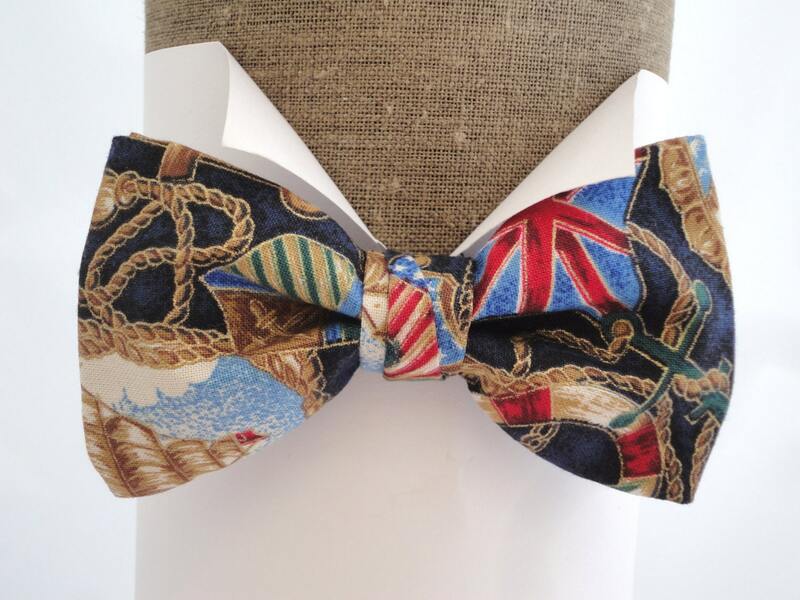 Sailor Print Bow Tie, Bow Ties For Men. 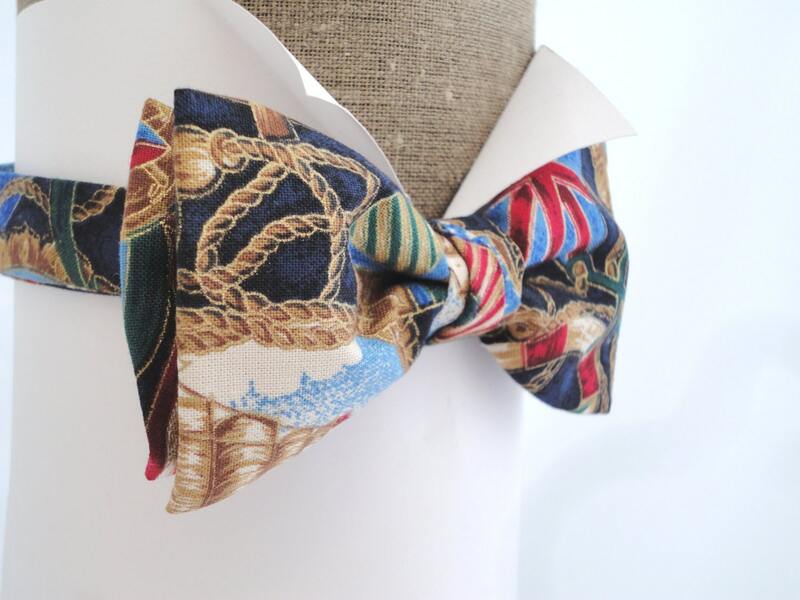 Nautical print pre tied or self tie bow tie in 100% cotton with adjustable neck band. 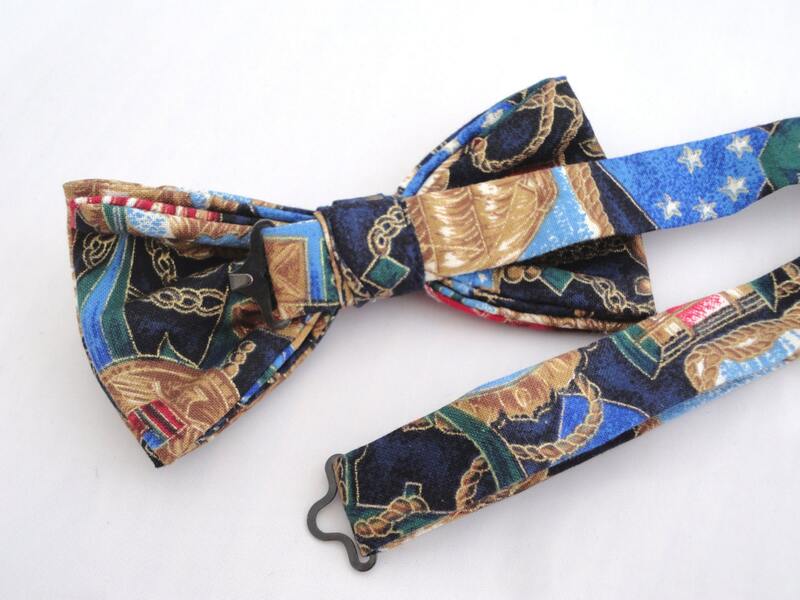 Pre tied or self tie bow tie in a nautical print on a navy blue background cotton. Please note, due to the nature of the cloth the print will vary.